We offer videos to cover everything, from the best selling features of our products, to comprehensive how-to videos for installation. Introducing the JO with app! 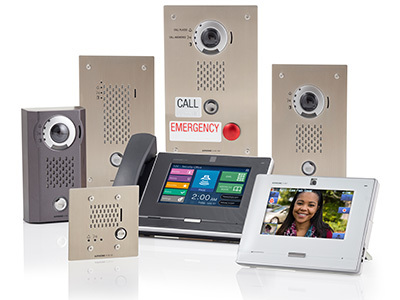 Take control of your front door with the JO Series video doorbell. It lets you see and talk with visitors and remotely unlock the door whether you’re in the kitchen or on vacation. Discover how easy it is to program the RY-IP44 network relay to function with the latest IX Series 2 SIP compatible door stations. See the IX Series 2 in action. Request a live on-site product demonstration! In this video, we will cover how to use Aiphone’s Programming Wizard Tool to quickly and efficiently program the basic functions of an IX Series 2 Peer-to-Peer Video Intercom. See the IX Series 2 in action. Request a live on-site product demonstration! Learn how to program the RY-IP44 network relay to work with the original, non SIP, IX Series intercom. See the IX Series 2 in action. Request a live on-site product demonstration here. Learn how to quickly find information using expanding menus that reveal the most commonly requested information.